This Spectrum Noir Colorista range has been specially developed for recreational colouring with the innovation and quality to take things to the next level. This pallet of earthy tones will be great for adding dept to your work.This range includes the first and only marker pen designed specifically for adult and recreational colouring. 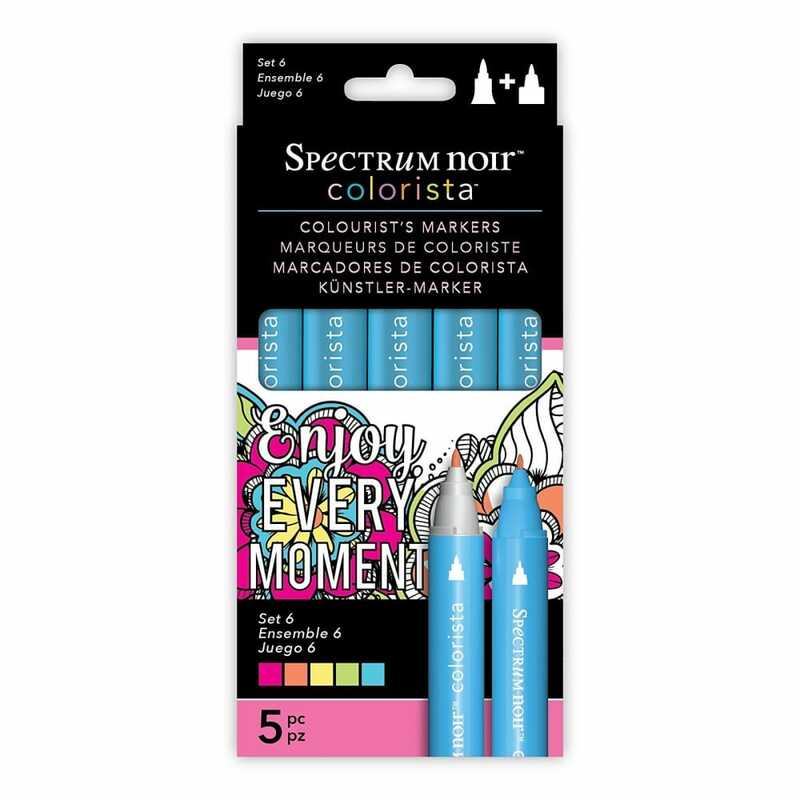 The Colorista marker has a dual-tip designed specifically to meet and build on the adult colouring trend. Its unique fine and ultra-fine nib combination is perfectly suited for accurate, detailed colouring. Whilst it's high-grade, alcohol based inks help the user achieve super smooth coverage with seamless blending.